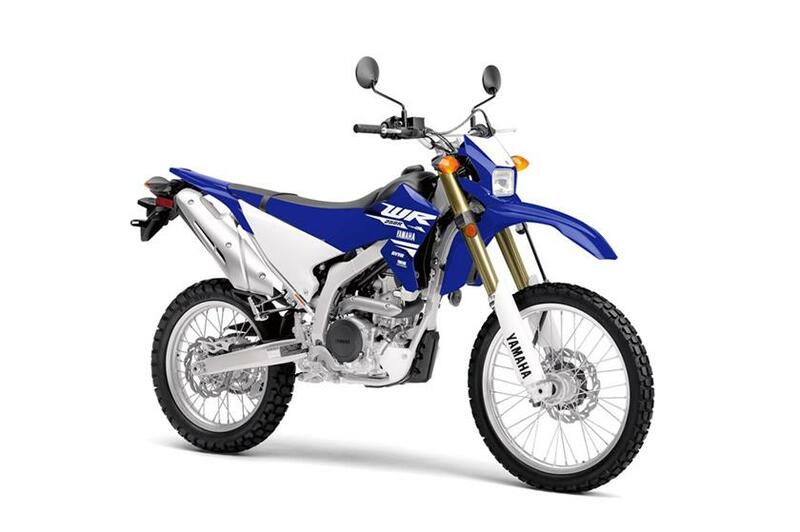 YZ-F Developed Dual-Sport Directly descended from our YZ® motocrossers and WR® off-road machines, the WR250R™ is here to make Yamaha’s off-road prowess street accessible, with high-specification components and top-notch build quality rarely seen in the dual-sport segment. Dirt-Focused Performance Not exactly an enduro model and not a pure streetbike either, the WR250R is for riders who ride off-road more than on, and are looking for extreme dirt capability right out of the box. Advanced Fuel-Injected Engine Featuring EFI and advanced lightweight engine internals, the WR250R isn’t just another detuned dual-sport, as Yamaha’s race-winning performance and track-tested development comes into focus with every twist of the throttle. Full-Adjustable Suspension With three-way adjustable suspension front and rear, the WR250R’s high-spec fork and shock allow the rider to tune the ride to match trail conditions and make the most of the light, nimble chassis.